3. Elbow – build a rocket, boys! 9. Paul Simon – So Matter, So What? 10. Fairytale (Let Me Live My Life This Way) – Rebecca Ferguson"
Llanelli Rotary Club will be holding a 'committee forum' meeting at the Stradey Park Hotel at 7.30pm tonight (Wednesday, January 11). Other meetings at the Stradey Park Hotel this month - Friday, January 20, 1pm, 'Fellowship' meeting, and Wednesday, January 25, evening guest speaker to be announced. If you are interested in joining Llanelli Rotary Club, then contact Robert Lloyd for an informal chat on 07777 683637. Côr Meibion Llanelli musical director Eifion Thomas was the 'interview guest' on the latest edition of the Llanelli Talking Newspaper for the Blind. If you know of a blind or partially-sighted person who is interested in receiving the fortnightly talking newspaper CD service, then please contact the secretary of the Llanelli Talking Newspaper for the Blind, Mr John C Williams MBE, 19, Coleshill Terrace, telephone 01554-772350. Côr Meibion Llanelli musical director Eifion Thomas sang a wonderful solo of Myfanwy at the funeral for choir vice-president Marion Lawson (widow of the late Ernie Lawson, Westwinds, Llethri Road, Felinfoel) at Holy Trinity Church, Felinfoel, Llanelli. Côr Meibion Llanelli members have resumed their weekly rehearsals after the festive break. Rehearsals are at 7pm at Furnace Community Hall, Llanelli, on Mondays and Thursdays. Visitors and prospective new members are welcome to attend. A man has been fined £175 and ordered to pay court costs of £264.71 after dropping a cigarette end in Llanelli town centre. David John Benson was convicted in absence of an offence contrary to Section 87 of the Environmental Protection Act 1990 at Ammanford Magistrates Court. The court heard that the council’s environmental enforcement officers who were on patrol in the town centre back in June when they saw a male talking on the phone and smoking a cigarette. He then dropped the cigarette end on to the ground. The officers approached the man and explained that he had committed an offence. Benson, aged 61, of Grove House, Tewkesbury Road, Upton Upon Severn, Worcestershire, was issued with a fixed penalty notice of £75. However, he failed to pay it within the specified time and was prosecuted through the courts as a result. Carmarthen Town AFC members are mourning the death of one of the football club's biggest supporters. Former club treasurer Nigel Williams, who lived in Idole, died last week, aged 57, after a long battle with cancer. A minute's silence was held before the match with Aberystwyth Town at the Old Gold's Richmond Park ground. Mr Williams had held the position of club treasurer for 15 years. He stepped down from the position and retired from his work at the treasurer's department in county hall, when he was diagnosed with a terminal illness two years ago. However, despite his illness, Mr Williams, retained his position as a director of the club's limited company and continued to support Carmarthen Town at home games whenever his health allowed. Club president Jeff Thomas said: "Nigel bravely fought his illness over a protracted period. Throughout it all, he remained stoical, always selflessly enquiring about the welfare of others. A Llanelli woman has been fined £175 and ordered to pay £336.29 court costs for failing to comply with the council’s kerbside recycling scheme. Carol Ann Thorne, aged 39, of Stafford Street, was convicted in absence of an offence contrary to Section 46 of the Environmental Protection Act 1990 at Ammanford Magistrates Court. The court heard that the council’s environmental enforcement officers were on patrol on Friday, May 6, 2011, when they saw that some blue bags had been left out after collection day. The offices inspected the bags and found that they had been contaminated with food waste. Evidence was also found relating to a Carol Ann Thorne. Further investigation revealed Thorne had already been issued with a notice seven months earlier which required her to put the correct materials into the blue bags. 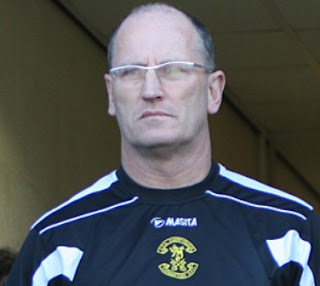 The task of saving Carmarthen Town AFC from relegation from the Welsh Premier League has been handed to former Welsh international Mark Aizlewood. Aizlewood has been appointed manager. He took up the reins this weekend at a training session in Carmarthen. He will be supported by player-coach Neil Smothers in the new management team at Richmond Park. The changes follow the dismissal of Tomi Morgan before Christmas. The ‘Old Gold’ currently share the bottom place in the Welsh Premier League with Newtown. This is the third time 52-year-old Aizlewood has been associated with Carmarthen Town. Aizlewood played 39 times for his country. Aizlewood’s playing career started when he joined his home-town club, Newport County in 1975 as a defender, before joining Luton Town. He moved on to Charlton Athletic in 1982 and won his first Welsh cap four years later, making 39 appearances in all. West Wales to host a major new literature festival | Wales | Creative Boom MagazineLiterature Wales is pleased to announce that a lively new festival celebrating the very best of literature will be held at Dinefwr Park and Castle in west Wales in 2012. The Dinefwr Literature Festival is a collaboration between Literature Wales, the National Trust, and the University of Wales, Trinity Saint David (as lead partner in the Coracle programme). Off to a 'frugal' lunch! Off to a fund-raising 'frugal' lunch with Llanelli Rotary Club at the Stradey Park Hotel, Llanelli. 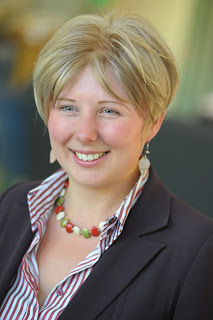 Aberystwyth University has appointed Rachel Tod as the new Director of the International Office. Rachel, originally from New Zealand, moved to Aberystwyth in 2005 and holds a Bachelor of Commerce degree with a major in Marketing from the University of Otago. 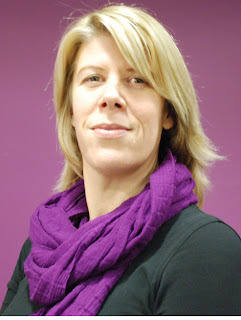 She has worked for Aberystwyth University in a variety of roles. Whilst working for the Department of Law and Criminology she set up the legal practice course and since 2009 she has been the Postgraduate Marketing and Recruitment Officer with responsibility for recruiting from the European Union. St Clears photographer and businessman Alan Evans is putting the spotlight on the new QR code technology. QR code is a special type of bar code which can be used by smartphone users. The technology makes getting further information and links as easy as a camera click. Mr Evans said: "QR codes are becoming essential marketing tools with the sales growth of mobile phones with cameras, providing the user with an instant response. "The QR code can hold a variety of information - URL links to websites, PDFs with business details, links to social networks and much more. "The benefits are that your leaflet does not get outdated-once the QR code is printed. The information it targets can be updated as frequently as you want. Children in Kidwelly have been congratulated on their eco success. The council’s Executive Board Member for the Environment Cllr Philip Hughes paid a special visit to Ysgol Y Castell because he was so impressed with what had been achieved under the Eco-Schools programme. The school was recently awarded the Platinum award - the equivalent to four Green Flags - the highest accolade possible. Cllr Hughes went along to speak to members of the school’s eco committee to hear first hand what they had done to become more environmentally-friendly. It included projects on waste, energy, water, transport, and healthy living. Carmarthenshire County Council’s Executive Board spoke at this morning’s meeting to clarify the council’s position on the implied proposals to close two county museums. Their comments come at a time when many members of the public have been led to believe that Abergwili and Parc Howard museums have been earmarked for closure without consultation. Council Leader, Cllr Meryl Gravell, said that the council would have to closely consider the provision of all its services in order to make efficiency savings, and reiterated that the museums were one of many options to be considered – not all of which will actually be cut. A formal discussion will be held at an Executive Board on January 23, before going to Full Council. Cllr Gravell said that the whole council, as well as staff and members of the public, had a part to play in identifying savings. Fir trees stolen from Welshpool’s Leighton Centre | Dyfed Powys Police | Heddlu Dyfed PowysTwo fir trees and their pots have been stolen from outside the Leighton Centre in Leighton, Welshpool, after the bolts fixing the pots to the ground were snapped. Aberystwyth University has appointed Mrs Liz Flint as the new Director of Commercialisation and Consultancy Services (CCS). As the University’s Knowledge Exchange office, CCS provides a gateway for external organisations looking to engage with the University. The department works closely with colleagues across the institution together with external organisations to champion knowledge exchange opportunities and support and develop commercial partnerships. Update on arson at Swansea Road, Llanelli | Dyfed Powys Police | Heddlu Dyfed PowysOfficers investigating the fire at Swansea Road, Llanelli, which happened on New Year’s Day are anxious to identify a man seen in the area between 4.15 and 4.45pm on 1st January 2012. Off to Brecon for a public meeting on the future of Brecon Jazz and Brecon Jazz Fringe festivals. 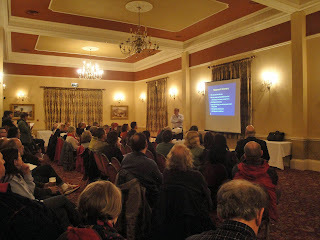 Meeting is 6pm at The George Hotel, Brecon. Mulching Why, When and What . . .
One of the most impressive winter sights is a well tended border being weed free nicely cultivated and maybe mulched. What we do in our borders in the winter often decides how well the summer goes. Much of the work in a border is actually best done in the winter leaving only staking weeding and dead heading for the summer or maybe watering in other parts of the country. Mulching can be a really important part of the garden calendar and can be hugely beneficial or in some case can cause some serious problems. But first of all what is mulch? Well this is always up for discussion. In my view, it is something you put on top of the soil to suppress weeds and or improve the soil. Gravels and aggregates can be used as weed suppressants but more commonly organic matter (composts) is used. Latest 'View from Richmond Park' column . . .
Ron and Celia Kirkby are arranging a Lucky Romance Quiz Night at the Carmarthen Town Football Club Community Centre on Friday, January 13. The evening will start at 7pm. All the proceeds will be donated to the club funds. After Christmas dinner, what does a gardener do? Well snow permitting it is great fun to walk round the garden and make a list of what plants are in flower. Every year I have done this and each year the list is very different. If you read the literature then technically there should be very little in flower as most things either finish late November or start in January. So what you actually see are either late arrivals or early starters. There is always plenty to see in the garden in December with winter stems, ornamental barks, winter coloured foliage and berries but it’s those seasonal refugees that can be a real surprise and treat. This is especially so this December as the weather has been so mild if not a little wet. Aberglasney is particularly good garden for doing this as it contains so many early flowering plants which often appear in December. Red Kite Law's Donna Purchase gives her views on 2012 in the Western Mail business pages today. The latest 'View from the garden' Aberglasney column by Joseph Atkin is in the Carmarthen Journal today. Tributes to Carmarthen Town AFC's former club treasurer Nigel Williams in the Carmarthen Journal today. 'Brave and untiring club servant'. West Wales brewer Simon Buckley pours cold water on idea to relocate Brecon Jazz to Carmarthen in the Carmarthen Journal today. AM backs Wood's bid for Plaid leadership | This is South WalesA Neath-based AM is one of two Assembly Members to lend her support to Leanne Wood's bid for the Plaid leadership. South Wales West AM Bethan Jenkins and Lindsay Whittle, AM for South Wales East, have voiced their public support today for her challenge. The AMs join Jonathan Edwards, Plaid Cymru MP for Carmarthen East and Dinefwr, in underlining their support for Ms Wood to take over the running of the party. Severn Bridge toll 'tax' fury | This is South WalesThe new year increase in tolls on the Severn Bridge has been condemned as a "direct tax" on investment in Wales. It now costs £6 for cars, £12.10 for vans and a whopping £18.10 for lorries to use the vital motorway link following the annual January hike. Plaid MP for Carmarthen East and Dinefwr, Jonathan Edwards, said the latest increase in Severn tolls was a barrier to investment. New Year's hunt marred by protests | This is South WalesA few hundred people turned out in Carmarthen to cheer the riders of the traditional New Year's county hunt. The dozen riders of Carmarthenshire Hunt, with their hounds weaving and chasing among the crowd, trotted into Guildhall Square where they were met with applause and cheers. Hunt master Mike Watts, dressed in a red tunic, doffed his black riding helmet to the onlookers. His speech was all but drowned out, however, by about 20 anti-hunt protesters who, armed with placards, started singing behind him. Swansea 29 Carmarthen Quins 12 - Welsh Premier - Rugby - WalesOnline: Swansea picked up a morale-boosting win over Carmarthen Quins in the Welsh Rugby Premiership. An appeal for information has gone out from police after a football club had the white metal goal net stanchions stolen. 1000 litres of oil stolen from Meifod property | Dyfed Powys Police | Heddlu Dyfed PowysA thousand litres of oil valued at some £700 has been stolen from a tank at a property in Meifod near Welshpool. Man summonsed to appear before court on a charge of causing death by driving without due care and attention | Dyfed Powys Police | Heddlu Dyfed PowysA 33 year old man has been summonsed to appear before Llanelli Magistrates Court on a charge of causing death by driving without due care and attention. He’ll appear before magistrates on Thursday 12th January. Rare Harley Davidson bike stolen in Llanelli | Dyfed Powys Police | Heddlu Dyfed PowysA white Harley Davidson, one of only two known to be in Wales, has been stolen from outside Llanelli job centre. Investigation underway into public house burglary | Dyfed Powys Police | Heddlu Dyfed PowysBrecon CID officers are investigating after intruders were disturbed at a pub in the village of Llyswen during the early hours of New Year’s Eve. Police warn of bogus Virtual PC Doctor calls | Dyfed Powys Police | Heddlu Dyfed PowysDyfed Powys Police is warning people to be aware of a sophisticated telephone scam where fraudsters claim to be calling from 'Virtual PC Doctor'. Just back home from a visit to windy Langland Bay and a very interesting chat with the artist Andrew Vicari. Seven per cent of serious crime offenders jailed by magistrates in Llanelli | This is South WalesLess than 10 per cent of offenders dealt with by magistrates in Llanelli were jailed for committing a serious crime in 2010, new figures reveal. The information, released by the Ministry of Justice, shows that just 7 per cent of people who were charged with offences such as ABH, possession of Class A drugs, assaulting a police officer and possession of a weapon were sent down for the crime. Out of 301 seemingly serious offences, just 23 of them resulted in a prison sentence. Many criminals were given community work instead. Victim of crime John Jenkins said he felt "concerned" about criminals being given "soft options". Interesting piece about the formation of the Welsh Language Society. Due to high winds, the attic office is closed to high-sided vehicles this morning!